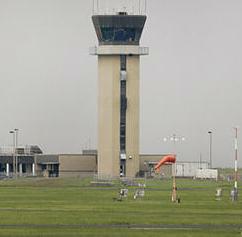 March 23, 2011 - The U.S. Department of Labor's Occupational Safety and Health Administration has issued Notices of Unsafe or Unhealthful Working Conditions to the Federal Aviation Administration's Lakefront Airport Air Traffic Control Tower in New Orleans for exposing workers to possible fire hazards. OSHA began an inspection on Sept. 22, 2010, as part of its Airport Air Traffic Control Tower Monitoring Program, which found violations of the Alternate Standard for Fire Safety in Airport Traffic Control Towers. Notices have been issued for six alleged repeat violations and one alleged serious violation. Repeat violations include improper use of electrical equipment such as relocatable power taps; failing to correct deficiencies in the fire alarm system and stair tower pressurization system; failing to provide a facility emergency action plan and a fire prevention plan; and failing to ensure fire drills are performed. A repeat OSHA notice is issued when a federal agency has been cited previously for the same or a substantially similar condition within the same OSHA region during the past three years. The FAA was cited in 2009 and 2010 for similar violations at other sites in the region. The serious notice was issued for failing to provide a facility compliance program. A serious notice is issued when there is substantial probability that death or serious physical harm could result from a hazard about which the employer knew or should have known. As required by the Occupational Safety and Health Act, federal agencies must comply with the same safety standards as private sector employers. The federal agency equivalent to a private sector citation is the Notice of Unsafe and Unhealthful Working Conditions. The notice is used to inform establishment officials of violations of OSHA standards, alternate standards and 29 Code of Federal Regulations citable program elements. OSHA cannot propose monetary penalties against another federal agency for failure to comply with its standards. The FAA has 15 business days from receipt of the notices to comply or request an informal conference with OSHA's area director in Baton Rouge. Lakefront Airport is a public use airport located four nautical miles (7 km) northeast of the central business district of New Orleans, in Orleans Parish, Louisiana. It is owned by the Louisiana Division of Administration. Originally the major commercial airport in the New Orleans area, Lakefront Airport relinquished that role in 1946 when commercial airline service began from Louis Armstrong International Airport, a significantly larger facility located in the nearby suburb of Kenner. Lakefront Airport continues to serve as a general aviation airport with charter, private, and occasional military operations taking place.